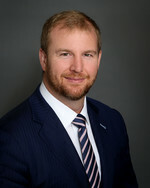 Christopher Bradshaw has served as the President and Chief Executive Officer of the Company since November 2014 and Chief Financial Officer from October 2012 to September 2015. 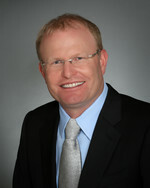 Mr. Bradshaw was appointed a director of the Company in February 2015. He served as the Company’s Acting Chief Executive Officer from August 2014 to November 2014. Additionally, Mr. Bradshaw is an officer and director of certain joint ventures and subsidiaries of the Company. From 2009 until 2012, Mr. Bradshaw served as Managing Partner and Chief Financial Officer of U.S. Capital Advisors LLC, an independent financial advisory firm that he co-founded. Prior to co-founding U.S. Capital Advisors LLC, Mr. Bradshaw was an energy investment banker at UBS Securities LLC, Morgan Stanley & Co., and PaineWebber Incorporated. Ms. Gordon has served as Senior Vice President, General Counsel & Chief Administrative Officer since joining the Company in January 2019. 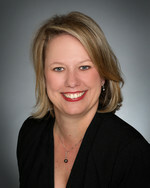 From 2011 through 2018, Ms. Gordon served as the Executive Vice President, General Counsel and Corporate Secretary of Air Methods Corporation, an emergency air medical company operating over 400 aircraft throughout the U.S. At Air Methods Corporation, she oversaw the company’s legal, compliance, government affairs, risk management and real estate departments. During her tenure, she led the company through various strategic initiatives, advising senior management and the board of directors on numerous mergers and acquisitions and joint ventures, ultimately leading Air Methods through its $2.5 billion take-private transaction in 2017. Prior to her appointment at Air Methods Corporation, Ms. Gordon worked in private practice as a corporate and securities lawyer. Her practice involved representing public and private companies on a variety of corporate transactions, including mergers, acquisitions and dispositions, public offerings and private placements of debt and equity securities. Ms. Gordon served in several compliance roles in the financial services industry prior to attending law school. She attended the University of Denver for law school and received a bachelor’s degree in biology from Santa Clara University. Ms. Whalen has served as Senior Vice President, Chief Financial Officer since February 2018. Ms. Whalen served as the Company's Vice President and Chief Accounting Officer since August 2013 until her appointment as Vice President, Acting Chief Financial Officer in June 2017. Ms. Whalen joined the company as Controller in April 2012. From August 2007 to March 2012, Ms. Whalen served in several capacities at nLIGHT Photonics Corporation, a supplier of high-performance lasers, including as Director of Accounting. Prior to these roles, Ms. Whalen served as the Manager of Accounting at InFocus Corporation for over two years. After serving in the U.S. military, Ms. Whalen started her career in public accounting in the assurance practice group at PricewaterhouseCoopers for approximately five years. Ms. Whalen received a B.S. in Accounting from Alabama A&M University and a Master’s Degree in Accounting from the University of Southern California. Mr. Stavley has served as Senior Vice President, Operations and Fleet Management since 2014 and served in numerous positions since joining Era in 1993. Mr. Stavley served as Senior Vice President, Fleet Management from October 2012 to October 2014 and as Vice President, Fleet Management from October 2010 to October 2012. Mr. Stavley also served as Director of Technical Services from September 2008 to October 2010), Director of Maintenance from September 2005 to 2008, Chief Inspector and Field Aviation Maintenance Technician. Mr. White has served as Senior Vice President, Commercial since October 2014 and served in numerous positions since joining Tex-Air (acquired by SEACOR and merged with Era in 2005) in October 2002. 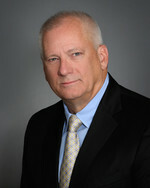 Mr. White served as Senior Vice President, Domestic from October 2012 to October 2014 and Vice President, General Manager Gulf of Mexico from August 2010 to October 2012. Mr. White has also served as General Manager of Era Training Center from September 2008 to August 2010, Director of Training from 2007 to 2010, Assistant Chief Pilot CFR Part 135 and 133, Senior Check Airman and Pilot. Mr. Newman has served as Senior Vice President, Strategy & Corporate Development since joining the Company in September 2018. From 2008 until 2018, Mr. Newman was an investment banker in the Industrials group at Deutsche Bank Securities Inc., where he most recently served as a Director covering aviation and commercial aerospace. Mr. Newman began his professional career at General Electric, in the GE Plastics division where he held several corporate finance positions from 2001 to 2006 including roles in FP&A, manufacturing, sourcing and commercial finance as well as project leadership. During his tenure, he completed GE’s rigorous Financial Management Program and was certified as a Lean Six Sigma Black Belt. Mr. Newman holds a Bachelor's degree with a double major in Economics and Government & Politics from the University of Maryland, a Master of Science degree in Finance from The Smith School of Business at the University of Maryland, and a Master of Business Administration degree from the Fuqua School of Business at Duke University. 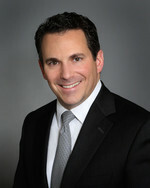 Mr. Newman currently serves on the Fuqua School of Business Alumni Council. Mr. Zaworski has served as Director of Safety and Compliance since September 2016. 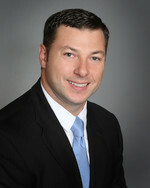 Mr. Zaworski has over seventeen years of experience in the aviation industry including more than eight years with Era. Mr. Zaworski served as Era’s Chief Inspector from May 2013 to April 2016 and Delegated Inspector from August 2009 to May 2013, after joining Era as an aviation mechanic technician in May 2007. Mr. Zaworski served in the United States Marine Corps and has both a Bachelor of Science in Professional Aeronautics and an MBA from Embry-Riddle Aeronautical University. Mr. May has served as Chief Technology Officer since joining Era in May 2013. Prior to joining Era, May was the IM Leader Business Solutions at GE from February 2011 to May 2013. Mr. May's experience includes an array of information technology roles including Business Relationship Director for Dresser, Inc., IT Director for Service Electronics and IT Manager for Soma Tech. Mr. May started his career as a technician in the U.S. Army.